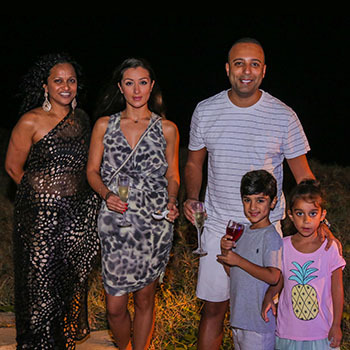 Shangri-La’s Hambantota Resort & Spa celebrated its first-year anniversary with the launch of its golf membership, and a cocktail and dinner event held at the Sunset Beach and Artisan Village. The celebrations brought together valued partners of the resort, including travel sector partners from Sri Lanka Tourism, travel agents and loyal guests, under the theme of ‘We are One,’ expressing togetherness. The cocktail reception gathered over 60 guests in a stunning setting under the stars by the resort’s beachfront. To support the successful first-year anniversary, the resort also launched a room offer for locals and residents, starting from Rs. 30,000 nett for two persons on a half board basis.